Bones creaking, ligaments snapping, and tendons popping are generally harmless, but sometimes a warning signal. Noticing the sound of bones creaking more frequently—as when you first get out of bed? It's natural, and not a cause of concern unless accompanied by pain or swelling. The older we get, the more likely we are to hear sounds often described as creaking bones or creaking joints. The medical term is crepitus. If it’s just noise, don’t be alarmed. Noise accompanied by pain or swelling, however, is a problem. Several things can cause noise around joints. First, it’s not the bones creaking, but structures coming into contact with bones that cause all the racket. The creaking sound in a knee is most likely to be noticeable when squatting, going down stairs, rising from a chair, or moving a joint through its full range of motion. Is a Creaking Joint an Early Warning Sign? Although not normally a problem, a recent study suggests knee noises could be an early warning sign of osteoarthritis. 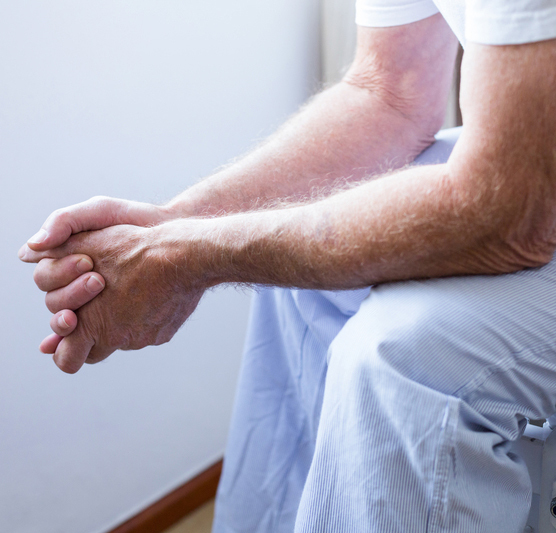 A research team at Baylor College of Medicine in Houston observed nearly 3,500 adults (average age 61) who were at high risk for developing knee osteoarthritis. The objective was to determine if there was an association between crepitus and subsequently developing knee OA. Among those who developed OA within a year, more than 75 percent reported grating, cracking, or popping sounds in or around their knee joint prior to developing symptoms of OA. The authors’ conclusion: People with noisy knees may be at higher risk for developing pain within the next year than those who do not have noisy knees. The study was published in the May 4, 2017 edition of Arthritis Care & Research. A person can make his or her knuckles crack, which releases nitrogen bubbles. The solution: don’t crack your knuckles. Other parts of the body can make creaking sounds. They include the hip, shoulder, neck, and spine, all of which could be affected by arthritis. The shoulder is especially noisy because it has so many moving parts. Neck crepitus is usually painless and harmless. Muscle tightness in the neck can cause it to pop or grind with movement. A person can make his or her knuckles crack, which releases nitrogen bubbles. The solution: don’t crack your knuckles. How Does a Person Avoid Creaking Bones and Joints? The best way is to move as much as possible during the day. Sitting has been called the “new smoking” because it has been linked to so many problems. Sitting-induced crepitus is way down on the list of problems, but it’s there. The more you move, the better the body lubricates its joints and the less noise they make. Joint noises are pretty common, and they will become even more common with age. Listen to your body. Joint noise without pain is not a major concern, although it could be a warning sign for some people. Joint pain plus pain or swelling needs medical attention. arthritis, arthritis care, bmi, bone, cartilage, Crepitus, exercise, healthy body weight, joint pain, knee joint, knee osteoarthritis, knee replacement, meniscus tear, muscle, osteoarthritis, pain, smoking, total knee replacement.